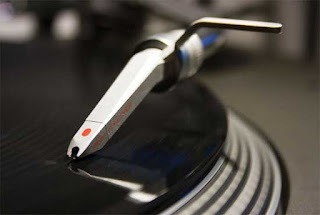 "I bring you the needle in the record stack"
For those of you that missed last month's post, the Filet Of The Day section is a place where I present a new song that I'm currently feeling that day. The songs are mostly new ones as I discover more and more artists and songs, but on occasion I look back to the past for inspiration. My intention is to give you a wide range of different artists to listen to in hopes to bring exposure to the underexposed talent out there.